Many developing nations suffer from a shortage of well-qualified teachers, especially in rural areas. Resources are few, and many teachers are expected to handle classrooms with upwards of 60 students. They also face challenges that are unique to the developing world, and often lack the support they need to manage these challenges. Planet Aid supports teacher training colleges in Mozambique, India, the Democratic Republic of the Congo, and Angola. The colleges Planet Aid supports utilize the DNS Teacher Training Method, a pedagogical approach suited to rural developing areas. DNS helps to inspire teachers to become self-driven and effective catalysts for change in both the classroom and the community. The colleges are also each approved by their respective ministries of education as institutions offering accredited programs. In Malawi, the marriage of young girls was common until recently. This lead to many girls dropping out of school. 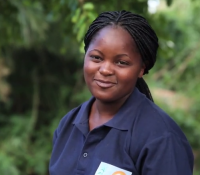 Upile is encouraging her young female students to continue their studies instead of getting married. Read More. Click here for more student teachers' stories. Higher education offers young people in the developing world the opportunity to escape the cycle of poverty. Graduates in the fields of education and community development are especially valuable, as they are able to use their skills to better their own communities. One World University (OWU) was established in Mozambique in 1998 with the aim of strengthening the nation’s educational system. The university offers two baccalaureate degrees: one in education and another in community development. Graduates of the education program are qualified to teach primary education at the college level. 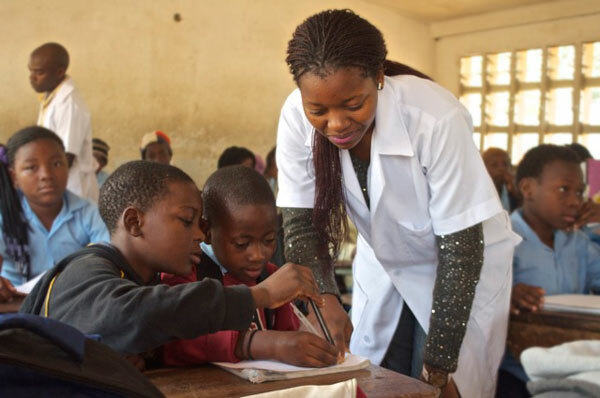 Mozambique has been struggling to meet the demand for qualified primary school teachers, and OWU is helping to meet the critical need for new teachers by supplying the instructors who can train new primary school student teachers at the nation’s teacher-training colleges. Combining classroom instruction with independent study and high-levels of hands-on teaching experience, OWU inspires its students to learn all that they can. In the process, they discover first-hand that learning must be made relevant and enjoyable, so that children feel positive about coming—and remaining—in school. Graduates also understand the importance of involving parents and the community, and how to foster a positive environment that places a high value on obtaining an education. The new OWU campus in Changalane, 80 kilometers from the capital Maputo, was built with the assistance of Planet Aid and with support from the U.S. Department of Agriculture, EDULINK, and the Finnish Ministry of Foreign Affairs. The campus is set back from the main road, surrounded by acres of land, and close to the Pequenos Libombos mountains near Swaziland. OWU uses a part of the land as a model farm, feeding students and producing a surplus of products that are sold locally. The Changalane community is also involved in Farmers’ Clubs activities and other training programs to help improve livelihoods. Read more about OWU on the university website.